I have to say olive green is one of my favorite colors which is why I love this ring so much. 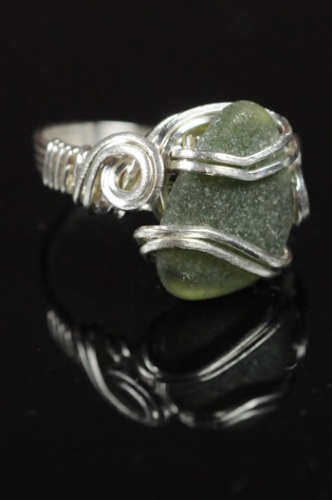 Its framed with beautiful sterling silver curls and looks so elegant on your finger. Size 8.